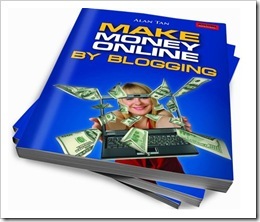 Instead of just making friends on Facebook or watching videos on YouTube, wouldn’t it be better to spend those precious times generating income through online for yourself, your loved ones and your family? 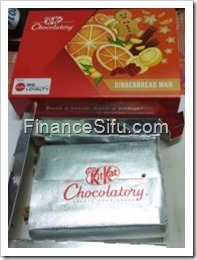 All the existing AirAsia BIG Loyalty Programme Participant can receive Complimentary Special Edition KIT KAT! AirAsia BIG Loyalty Programme is operated and owned by Think BIG Digital Sdn Bhd which is a subsidiary of AirAsia Bhd in collaboration with Aimia Inc. This is the membership that you use to earn Loyalty points when purchasing AirAsia services i.e Flights, In Flight Meals etc. This post is specially for those who use the Prepaid sim card from Maxis, DIGI, Celcom, UMobile and TuneTalk. Most of the prepaid user will Reload their sim card by buying a Top Up Tickets or E-Vouchers Top Up, at the shops. The Profit Margin for a Top Up Tickets is very low and most shop depend on the huge Volume Business to generate Higher Profit. Therefore, It’s very slim chance for the prepaid user to get a discount on prepaid reload. 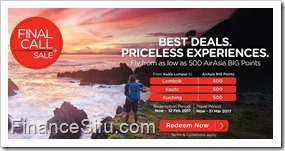 It’s possible to Fly from as low as 500 AirAsia BIG Points. AirAsia BIG is AirAsia’s loyalty programme. You’ll get to earn AirAsia BIG Points with every flight booking. There are many other way too to earned the point. This is a really a good deal beside the Zero Fare Promotion.